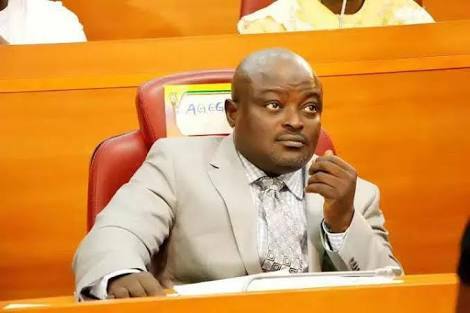 The current speaker of Lagos State House of Assembly Mudashiru Obasa has been duped of N9.188,100 by three men who allegedly hacked his facebook account through which they got his bank details. 27-year-old Frank Nwokobia, Ezeoke Kanayochukwu, 25, and Godwin Essien, 28, were arraigned yesterday before Justice Chuka Obiozor, for the offence. They are been prosecuted by the State Criminal Investigation and Intelligence Department (SCIID), Panti Yaba, on a five-count charge of conspiracy, impersonation, identity theft and fraud. According to the prosecutor William Olu Ologun, the defendants, sometime in May, hacked Obasa’s Facebook account and retrieved information with which they withdrew N9.1million from his Guaranty Trust Bank (GTB) account. Ologun said following Obasa’s complaint, the defendants were arrested by the police in Delta State. According to him, they confessed to the crime. The offences, he added, were contrary to Sections 27(1)(b) and 22(2)(b)(ii) of the Cybercrimes Prohibition and Prevention Act, 2015. Ali said they had sureties, adding that they would always be available for their trial. Justice Obiozor granted them N5million bail with one surety each in the like sum. The sureties must be recommended by the defendants’ lawyer; must reside in Lagos; own landed property and be tax compliant. Justice Obiozor ordered that they be remanded in Ikoyi Prison, pending the perfection of their bail conditions.